Happy Summer! Hope you're enjoying my second favorite season! I'm back with this month's roundup chock-full of products that I have tried and loved during June. Here are some of the BEST beauty products tried by myself (or contributors) throughout the month. What are some of your most fave beauty products you have tried this month? Leave your comments below! I always recommend Nerium skincare products to friends and family because they're effective and well worth the splurge. You can purchase 3 Nerium products to create an easy anti-aging skincare routine. It's great for bossbabes, moms or anyone who is constantly on the go. Nerium offers 3 effective facial products to add to your routine - Nerium Age Defying Day Cream and NIght Cream and Nerium Eye Serum. Loaded with super antioxidants and patented technology that helps reduce pores, fine, lines, wrinkles and discoloration. At night: The Night Cream, which has a soft, unique, breathable mask-like texture, also contains a cocktail of hydrating oils, including: castor seed oil, which is super-hydrating and softens the skin; olus oil, which moisturizes andhydrolyzed quinoa, which soothes irritated skin. Nerium’s Age-Defying Eye Serum is great used morning and evening as an advanced age-fighting product that works to address all the signs of aging around the eye area to help you look fresh and bright-eyed. It works immediately to diminish the appearance of fine lines, hydrating the eye area as it dries to a soft, matte finish. Over time, it helps reduce dark circles, puffiness and wrinkles. Dry your hair in half the time with DreamDry’s NEW DreamTurban™! 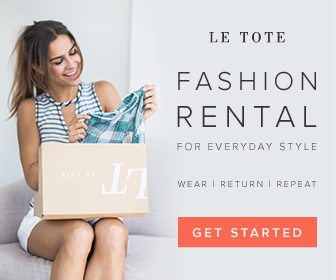 It was featured in THE ZOE REPORT's Summer Box of Style, Easy as 1, 2, 3 , as the chicest way to dry your hair from the premier blow-dry and styling salon by Rachel Zoe. Unlike cotton towels, this gentle turban doesn’t weigh down or pull on your hair. Made from an incredibly plush, extra-absorbent fabric, the DreamTurban™ significantly reduces hair’s drying time, leaving it healthy and shiny. The machine-washable wrap’s unique design features an elastic band at the end of the turban and a button at the base, allowing you to secure the wrap in place while you get ready for your day. Purchase: Dreamdry.com and DreamDry salons. Kaffé products bring the rich flavors of Kona coffee and the magic of Haulalai’s and Muana Loa’s volcanic soil to a luxurious line of cosmetic products. I tried the Facial Coffee Scrub and I am in love because it combines two of my favorite things – coffee and a good, natural microdermabrasion inspired treatement. Kaffe products were developed to capture the rejuvenating effects of Kona seed oil: This coffee scrub increases the production of collagen and elastin, hydrates skin and protecting against the effects of ultraviolet light on skin, such as fine lines, wrinkles and dry, rough skin. My skin feels healthy and vibrant and many of my acne marks and skin discolorations have faded. Essential is a new find - a brand that sources ingredients straight from nature to you for healthy, glowing skin. These essential oils are sourced worldwide from organic farms, hand-harvested, distilled in small batches, and the products are made right in California! They are entirely botanical, fair-trade, vegan, and cruelty-free. 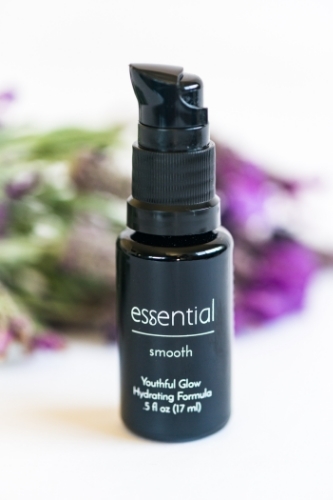 Essential Smooth skincare solution contains rosehip, neroli, chamomile, rose, frankincense, lavender, and bisalolol essential oils. This ultra-hydrating formula heals, repairs, and protects your skin, leaving it looking firm, healthy, and glowing! It offers the gift of organic beauty, straight from nature. With it's stunning jewel orange tone, a testament to the high quality and minimally processed oils, Essential Smooth stands out in a sea of skin care products. Also, try their luxurious night cream, - Essential Repair. Soap & Paper Factory just introduced their new Farmacie Candle Collection. This collection of premium, fragranced soy candles are packaged in chic apothecary jars and feature botanical scents based on the herbs and flowers used in traditional medicine. The Farmacie Candles are available in these three fragrances: Marigold Calendula, Lavender Clary Sage and Red Rose Saffron. My favoritte is the Lavender Clary Sage - Calming lavender takes center stage in this bright, refreshing fragrance. The scent blends the citrusy notes of bergamot with crisp clary sage for an earthy scent. I have an easy 5 minute solution for women with all skin types that can correct major eye-area complaints and turn back the years - Lumixyl Revitaleyes Eye Brightening Cream. Gentle, but fast-acting, the all-in-one Lumixyl Revitaleyes is perfect for those who want to brighten tired eyes without using harsh ingredients. The key ingredient in Revitaleyes is Decapeptide-12, a peptide developed by a team of researchers and dermatologists at Stanford University to combat hyperpigmentation without the harmful effects of hydroquinone – a controversial ingredient included in many brightening products on the market. It also contains key ingredients like Shea Butter and Glycerin which hydrate and smooth skin while active peptides minimize fine lines and wrinkles. Chrysin helps remove iron deposits beneath the eyes, resulting in the reduction of dark circles and Bamboo extract provides anti-inflammatory and antioxidant benefits. Purchase: LovelySkin.com. I am so excited to share the Coalion Perfect Pores Kit from Peach and Lily, leading Asian beauty destination for innovative and high-quality beauty products. They use natural ingredients in conjunction with Korean skincare technologies to heal and transform your skin from the inside out. Caolion Perfect Pores Kit, features the Original Pore Pack, the Pore Tightening Sleeping Mask, and the Blackhead O2 Bubble Pore Pack, plus The Freshly Chitosan Foam Cleanser. Freshly Chitosan Foam Cleanser is formulated with patented unshiu (or Jeju mandarin oil) and antioxidants and leaves your face feeling refreshed and moisturized. The Blackhead O2 Bubble Pore Pack removes impurities in the pores, the Original Pore Pack tightens the pores and skin and the Pore Tightening Memory Sleeping Mask works overnight to hydrate and improve the skin's complexion. You can't go wrong with this combination.